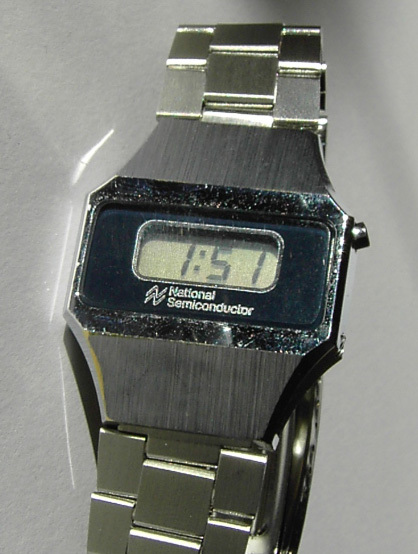 This is a classic LCD watch by National Semiconductor (Novus). You can tell by the fantastically large and chunky dimensions of this watch that it’s a Novus owned production. This is a really sturdy retro LCD watch, and it has a nice big LCD screen – no nonsense – date / time / seconds, and that’s yer lot. The face is navy blue, and the casing silver – a classic LCD watch combination! These pesky photos don’t do this watch justice at all, which is kind of annoying me, but you’ll have to trust me – buy this and LOVE it!